Just another music critic doing his best to find the good stuff, and making sure you find it.Updates Mondays! I realized recently that I completely forgot about some of the exclusives released last Saturday. Please forgive me and check some of these great tracks out. Happy Belated Record Store Day! I realize I’m almost a week late with this, but I felt the need to share my own discoveries as I wandered the streets of lower Manhattan looking for the best choices in records. Here’s what I found. The second studio album of artist and producer M83 of Midnight City fame, Dead Cities is an entirely instrumental journey through one of the most beautiful electronic soundscapes in recent years. Beirut's debut album brings the wonders or acoustic strings and accordion and combines them with a beautiful classical tenor voice to bring you a true marker in Indie Folk music. 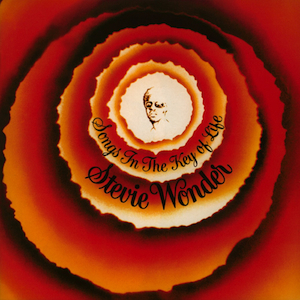 One of the most ambitious and successful soul albums of all time, Songs in the Key of Life is a double album that belongs in any music lover's collection. The famed sophomore release that includes Message in a Bottle and Walking On The Moon, among other great tracks. I feel a little late to the party after realizing this album from San Diego-based Delta Spirit came out in March. An animated tribal beat and reverb-soaked guitars are only complimented by an animated tongue roll in this energized track off the bands self-titled. I strongly recommend checking these guys out. After a busy weekend, I have a lot to share. First of all, if you enjoy good music, and you live on the East Coast of the USA, you’re probably crying inside over the fact that you weren’t at Coachella. I had to soothe my case of the blues with the full Radiohead set recorded and uploaded to Youtube. Check it out! On Saturday, I went into New York to see an upcoming act by the name of Mitchell Grey. A four piece including guitarist Joe Diaz (who I know personally), singer Ryan Bandong, bassist Napon Pintong, and drummer Matt Pana the band has been playing together for about 2 years. They had so much energy, this being their first performance since their album dropped last week. Their summery, bright-but-sophisticated sound is a breath of fresh air. You can listen to the whole album below, But I recommend supporting them through Itunes or Amazon. You can get more information from their Facebook page here. I simply can’t finish this post before mentioning the amazing Tori Kelly, who opened for Mitchell Grey. If the name sounds familiar, she made it past auditions in Season 9 of American Idol, and for good reason; Her voice is breath-taking. I got the chills several times over the course of one song. Check out her single ‘Confetti’ and eagerly await the album release with me. Subpop really knows good music, and Niki & the Dove is no exception. This track is incredible. The synth-heavy sound, combined with the strong vocals of Malin Dahlström, is reminiscent of Zola Jesus and Florence & the Machine. You can listen to a 5-track album sampler on YouTube, but if you’re new to this band, “Tomorrow” – which you can stream below – is a great place to start. Icelandic Post-Rock group Sigur Rós have announced a North America tour to go along with their new album Valtari, which will be released on May 30th. For those of you who have never experienced Sigur Rós, you are missing out on an amazing group. The lead singer, who goes by the name of Jonsí, has an incredible powerful falsetto, and the instrumentation on many of their tracks is absolutely breathtaking. Their music has been featured on several different commercials, and this one is probably the most recognizable. Do yourself a favor and listen to Takk… all the way through. For those of you familiar with the band, check out the new single. Sleepy Sun is an apt name or this lazy California rock outfit, a fact that can be recognized from the first few seconds of their new release, Spine Hits. The guitar jams, the singers harmonize, and the drummer hammers along, each member adding to the overall calm, dreamy, summery feel that envelopes the album. Lead singer Bret Constantino channels both the Shins and Manchester Orchestra vibes, but the song structures varie from similarities to U2 to Soundgarden to a ‘Lucy in the Sky’ era Beatles. It’s an interesting mix, and not one to be passed off as another yawn-worthy indie band. For such a lazy band, they just can’t seem to stand still. In this case, that’s a very good thing. Check out my pick Creatures. Note: All picks will now be linked to Spotify, a great free music streaming program available here. I used to use Tumblr for this sort of thing, but I’ve moved on to a more professional environment. Though some of the posts are outdated, those of you unfamiliar with my tastes or style can still get a feel for me, in a manner of speaking. I’ll still be posting there to cover all my bases, but it will probably be identical to what I post here. 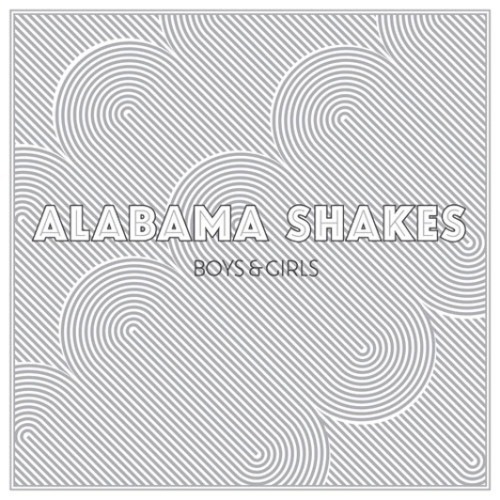 For those of you that don’t know, Alabama Shakes is a band formed in, you guessed it, Athens, Alabama in 2009. Their throwback sound reminds me of a more modern Motown, and singer Brittany Howard could not fit anymore soul within her exquisite vocal melodies. Whether it be a slow waltz, or a southern rock jam session that strangely works within their instrumentation, Howard’s’ blues wails take center stage. If you’re looking for energetic, classic southern blues with a rock tinge and a Motown vibe, look no further than Alabama Shakes. Check out my personal pick, I Found You.